In this week's Abundance Insider: Checkout-free grocery stores, detect-and-avoid drones, and a biofabrication institute that’s creating the hospital of the future. What it is: Amazon formally announced Amazon Go, a grocery store without cashiers, lines, cash or credit cards. The shopping process is simple: select your items, and then walk straight out the door. While Amazon hasn't released the precise sensor, deep learning and computer vision technologies underpinning this futuristic store, it has opened a pilot in Seattle open to employees. The plan is to open to the public and then expand to nearly 1,800 stores across the U.S.
What it is: HIRO AI -- Arago's flagship product designed to learn from and amplify human knowledge -- can now beat around 80 percent of the humans playing the building simulation game Freeciv. For an AI to succeed in this game, it requires a very plastic AI to accurately learn how to negotiate twists and turns. The purpose of HIRO playing video games is to offer the AI service to businesses that seek to improve their IT automation, but Arago's long-term goal is to create a more general AI tool capable of learning and performing a broader range of tasks. What it is: Echodyne Corp announced its recent success in the world's first airborne Detect and Avoid radar test on a small unmanned aerial vehicle. The radar was secured on a small drone -- the kind of drone designed for tasks like package delivery and agricultural monitoring. The radar tests were conducted with Echodyne's developer kit radar with its Metamaterial Electronically Scanning Array (MESA), enabling electronic scanning delivered in a smaller, lighter and less costly form than before. These tests successfully scanned up to 120° x 80°, which resulted in the radar tracking a small UAV, a Beechcraft Bonanza and an ultralight aircraft -- in addition to vegetation, barbed wire fences and other obstacles that the radar provided in a 4D data cube. This test's results brings Echodyne one step closer to fulfilling the company's mission to make the world a safer place using cars, drones and other vehicles to accurately sense the world around them. 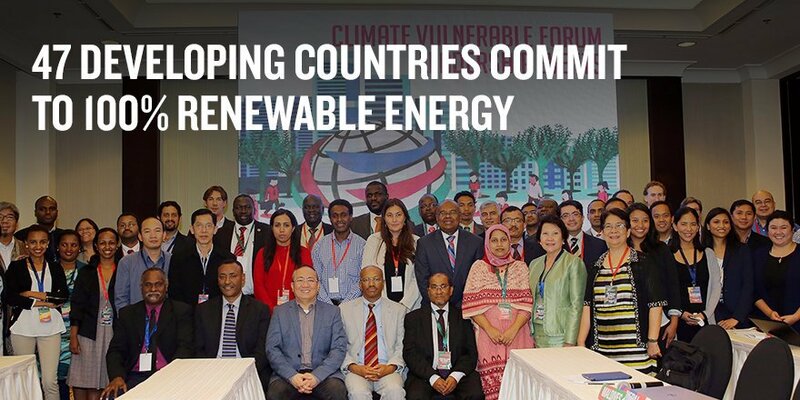 What it is: In Marrakech, more than 45 countries -- including those most vulnerable to climate change like the Philippines or the Marshall Islands -- pledged to switch to 100% renewable energy by 2030 to 2050 at the latest. What it is: In an effort to advance 3D printing as applied to biological systems, Queensland announced the creation of the Herston Biofabrication Institute, set to open in 2017. The Institute will bring together an interdisciplinary team spanning clinicians, scientists, mathematicians, and engineers to create next-generation biofab techniques in data acquisition and 3D clinical imaging, computational medicine, 3D modeling and visualization, 3D cell culture and advanced manufacturing. What it is: Nikola Motor Company recently unveiled its zero-emissions, hybrid-electric Class 8 tractor -- officially the most advanced semi-truck ever built. The unveiling took place at the company's Salt Lake City headquarters and via a livestream on the Nikola website. The company also announced its new partnership with Ryder System as the exclusive distribution and maintenance provider for all Nikola trucks moving forward. In addition to Ryder as a partner, founder and CEO Trevor Milton said Nikola has already started discussing plans to seek out a partner focused on technology to reduce fossil fuel consumption in the U.S. trucking industry. Milton also shared the company's plan to launch hydrogen fueling stations across the U.S. and Canada beginning in January 2018. What it is: Japan's Ministry of Economy, Trade and Industry plans to invest 19.5 billion yen -- about $173 million USD -- to develop the world's fastest supercomputer as early as next year. Its engineers plan to build a machine capable of 130 petaflops, or 130 quadrillion calculations per second, according to Reuters. 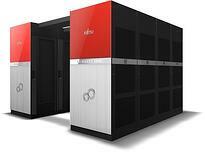 Japan hopes to use this computer to accelerate artificial intelligence and deep learning, while also serving the data mining needs for Japanese corporations (currently, most outsource this task to organizations like Microsoft or Google). What it is: Alphabet Inc.'s AI division Google DeepMind recently opened up their training environment's entire source code on GitHub. The publicly available AI test bed, DeepMind Lab (previously known as Labyrinth), allows anyone to download and customize the Lab's code to help train their own AI systems. In addition to downloading the code, the public now also has the opportunity to create new game levels and upload them to GitHub. Google DeepMind hopes that opening up its Lab code to the public will allow researchers to analyze their developer's breakthroughs, and see how their own AIs measure up to DeepMind's performance.